Where has all the time gone? It is rapidly changing from summer into fall here on the farm. Little Rebel is growing into a handsome teenage alpaca, we have added to our security team, the flock has grown and changed and the leaves are changing while nights get cooler and the days get shorter. We have also increased our security team by two. We are happy to welcome Colby and Casey , a pair of Great Pyrenees females, to Sneaky Dog Protection Service! Mason is enjoying having help with the job of protecting all things great and small, and the girls are doing a wonderful job. Casey is one of the newest members of our security force. She is a gentle soul, who can often be found with the youngest members of the herd, or hanging back at the back of the fields keeping a watchful eye on her charges. She is protective of all the critters here on the farm, but loves nothing better than a nap in the sun when her watch is up. Colby came to us at the same time as her sister, Casey. Colby likes to guard ther perimeter , so you’ll find her patrolling the fences and gates. She’s gentle with her charges, but aloof to anything new. She’s the first to sound the alarm and meet the threat head on. She takes her job seriously, but is always up for a snuggle with the cria, a quick wrestling match with her sister, or a hug from her favorite people. Rebel is growing up and becoming even more handsome. He is the spitting image of his sire, Charlemagne, with the personality of his dam, Jillian. It is such a treat to watch the little ones grow into their place in the herd. Rebel has decided he is just a mini llama and chooses to spend most of his time with his favorite auntie, Madison, and his second momma, Maggie. He has picked up their steady and easy going manner, along with the unflappable nature of the llamas. Nothing bothers them, so nothing bothers him. The flock has increased its numbers as well! This summer we added several chicks to the current flock. We added some beautiful olive eggers (hopefully) hatched from our own flock, along with a handful of D’uccle chicks from a dear friend’s flock. The chicks are in a grow out pen right now and learning about free ranging from the hens, all under the protective watch of Mason. In additon to the chicks, we’ve added guinea fowl to our growing list of critters that call the farm home. The guineas are a souce of constant amusement to us, and intrigue the alpacas and llamas. They spend the day patrolling the property and eating as many bugs as they can hold. Each day they become a bit more confident in their new enviroment and wander just a bit farther in the fields. As always, thank you for sharing our journey with us and allowing us into your lives. We truly appreciate your patronage and support. It has been so long since we’ve posted anything to the webpage! Our social media followers know we post regularly to Facebook and Instagram, but we have neglected our web followers. It was purely unintentional, and we promise to do better in the future! A New Year and some New Faces! Hello again folks! All the critters here at Rocking Chair Farm have had a wonderful start to the new year, and as we head into February, we are are looking forward to what 2017 has in store for our little slice of heaven. At the beginning of January, we added a few new faces to our herd. We feel very blessed to have added 4 Suri alpacas to the the property. The boys increased by one, as we added SBS Crown Prince Friedel (Freidel). The ladies increased by 3 lovely suri ladies: GLR Pomona (Pomona), Pearl’s Miri by Accoyo Axel (Miri) and Firecracker Jackie (Firecracker). They also made room for Maggie and Madison a mother/daughter team of llamas. Everyone has settled in, so we thought the time was right for a few candid photos of our newest herd members, as well as a few shots of the original crew! We are busy preparing for shearing, and a few spring cria ,as well as improvements to the farm and additions to the farm store. The herd will also have official individual photos and information updates added. Faber’s birthday bash was a resounding success! Our little guy enjoyed all of his friends and fans stopping by to see him and wishing him well. It was a cold and blustery day, but the critters didn’t seem to mind. They were all very pleased with the extra treats that Faber’s big day supplied for everyone! We have finished our last open barn for this year, but we will be open for last minute holiday gifts. If you find yourself in need of some of our cuddly alpaca yarn, give us a call, text, email or send us a message on social media and we will do our best to help you get what you need. 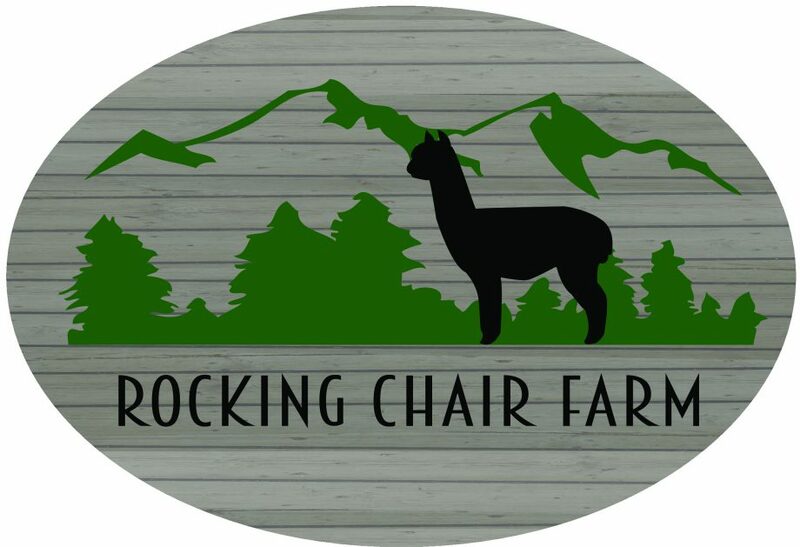 If you would like alpaca goodness shipped to a special person and are out of state or unable to come by the farm, we would be happy to help in that respect as well. In other news, the flock has been enjoying the wet weather we are finally receiving. They spend most of their day out in the fields pecking at worms and bugs that have sprung to life with the rain. All of the hens are now laying and we receive between 5-7 eggs /day in an assortment of colors. Henry, the rooster, keeps busy watching over his girls and finding yummy treats for his favorite hens. He has decided Farmer David is lots of fun, and asks to be carried around and hugged often. The alpacas are also enjoying the cooler weather and rain. They spend most of the day in the barn and the evenings enjoying the fields. They are all getting ready for the holidays and the new year when we will open the barn back up for more visitors. They are also working a a very special treat for their fans, that we will introduce soon! Our little flock has changed a bit in the last month or so. We have had two young roosters leave and go to new homes and added a hen and two young pullets to our flock. Our newest additions are Penny, Rose and Bella. All three of our new girls are Rhode Island Reds. With the new additions, there was a bit of a shake up in the flock’s pecking order but all seems to have been worked out and the flock is cohesive once again. Henry, our remaining rooster has finally learned to crow! He lets everyone know when it is time to wake up and start the day, but he is very concientious of our neighbors, so he crows at a level that won’t disturb them. He gathers the ladies nightly, and hustles them back into the coop and waits for us to shut the door. Once everyone is inside, he takes the highest roost and settles in for the night. We never would have thought we would enjoy this critters quite as much as we do, but they have truly added a new dimension to the farm. The alpacas are quite enamoured with them still, and Mason, the Wonder Dog, takes guarding them just as seriously as guarding his herd. WOW! Who would have thought when we started the farm two years ago we would have 300+ Facebook followers and 200+ Instagram followers? Not us, that’s for sure! It humbles and amazes us that folks bring us into their busy lives on a regular basis and share our stories with their friends and families. Thank you, from the bottom of our hearts.